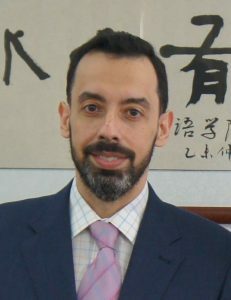 Luis Pérez-González is Professor of Translation Studies and Co-Director of the Centre for Translation and Intercultural Studies, University of Manchester, UK. He is co-investigator on the AHRC-funded project Genealogies of Knowledge: The Evolution and Contestation of Concepts across Time and Space. Former Editor of The Interpreter and Translator Trainer (St Jerome Publishing), he is the author of Audiovisual Translation: Theories, Methods and Issues (Routledge, 2014), and is currently editing The Routledge Handbook of Audiovisual Translation (2016). He was guest editor of special issues of The Journal of Language and Politics 11(2) (Translation and the Genealogy of Conflict, 2012) and The Translator 18(2) (Non-professionals Translating and Interpreting: Participatory and Engaged Perspectives, 2012, with Şebnem Susam-Saraeva). He is currently serving as Leader of the Translation and Interpreting Studies Pathway in the AHRC’s North West Consortium Doctoral Training Partnership and is a member of the ARTIS (Advancing Research in Translation and Interpreting Studies) Steering Board. Bolette Blaagaard is Associate Professor at Aalborg University, Denmark and former Research Fellow at City University, London, where she was involved in setting up an international network to debate issues of citizenship and journalism, as well as carrying out research on citizen journalism and its implications for journalistic practices and education. She is co-editor of After Cosmopolitanism (Routledge, 2012), Deconstructing Europe (Routledge, 2011), a special issue of Journalism Studies 14(2) (Cosmopolitanism and the New News Media, 2013), and with Mona Baker of the forthcoming Citizen Media and Public Spaces, also published by Routledge. Her articles have appeared in a wide range of journals, including Social Identities, Journalism Studies, Visual Communication and Journalism. 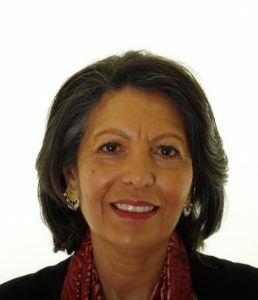 Mona Baker is Emeritus Professor of Translation Studies at the Centre for Translation and Intercultural Studies, University of Manchester, UK, and Principal Investigator on the AHRC-funded project Genealogies of Knowledge: The Evolution and Contestation of Concepts across Time and Space. She is author of In Other Words: A Coursebook on Translation (Routledge, 1992; second edition 2011) and Translation and Conflict: A Narrative Account (Routledge, 2006), Editor of Translating Dissent: Voices from and with the Egyptian Revolution (Routledge, 2016), the Routledge Encyclopedia of Translation Studies (1998, 2001; second edition, co-edited with Gabriela Saldanha, 2009); Critical Concepts: Translation Studies (4 volumes, Routledge, 2009); and Critical Readings in Translation Studies (Routledge, 2010). Her articles have appeared in a wide range of international journals, including Social Movement Studies, Critical Studies on Terrorism, The Translator and Target. She is founding Editor of The Translator (St. Jerome Publishing, 1995-2013), former Editorial Director of St. Jerome Publishing (1995-2013), and founding Vice-President of IATIS, the International Association for Translation & Intercultural Studies (2004-2015).